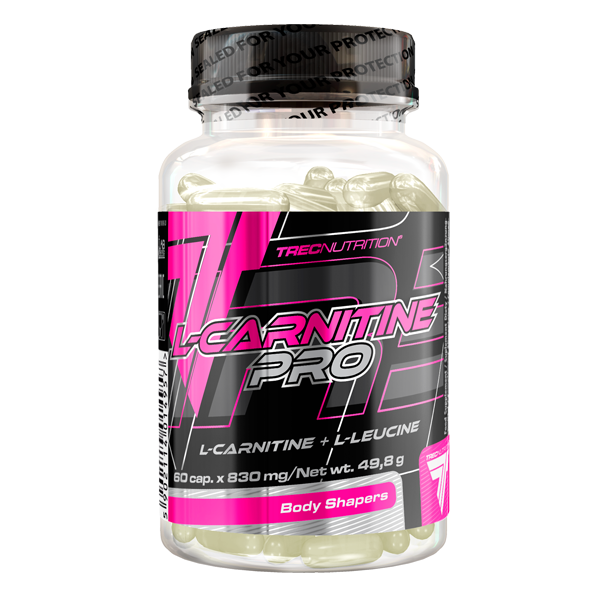 L-CARNITINE PRO is a source of innovative combination L-carnitine and L-leucine. Product is designed for sportspeople and those intending to lose weight. Recommended daily portion is 3 capsules. Single portion of the product - 3 capsules wash down with approx. 300 ml water. On workout days: 3 capsules 30 min. before workout. On non-workout days: 3 times daily 1 capsule, preferably 30 min. before your meal. INGREDIENTS: L-carnitine tartrate (59%); L-leucine (24%); capsule shell (gelatine; colour – titanium dioxide); anti-caking agent – magnesium salts of fatty acids.